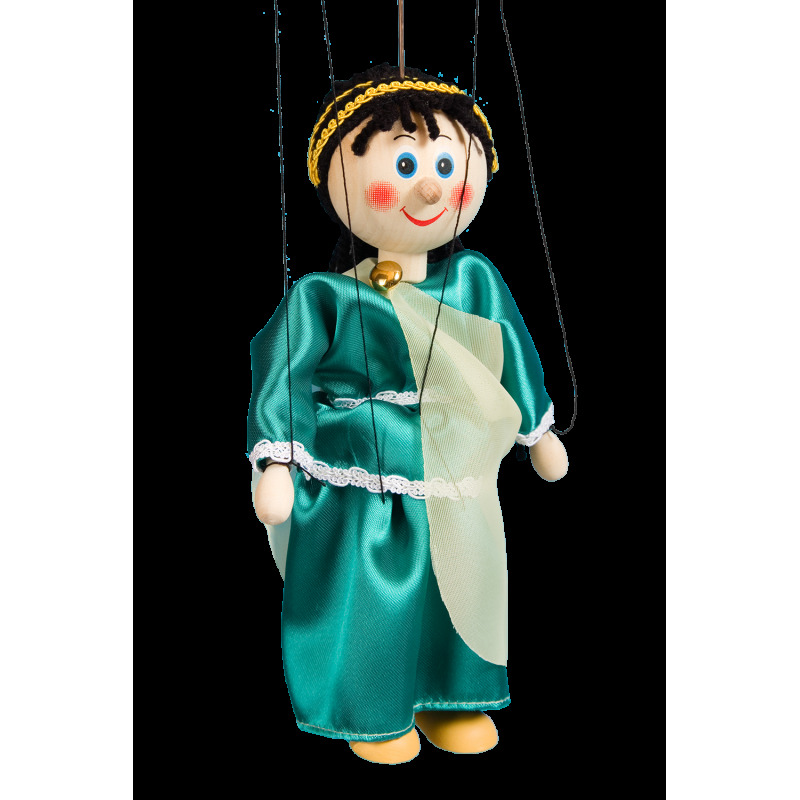 Wooden 20 cm puppet has a wire rod and strings to manipulate with it and play a theater. The whole height with the rod is 38 cm. 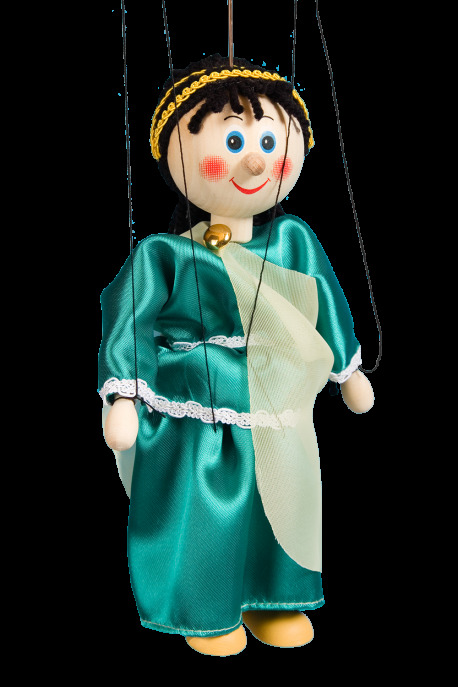 It is good as a toy for children beacause it increases their skills of imagination and creativity.